Uganda will never transform its economy using money from banks whose main preoccupation is to lend to property owners at very stringent terms, make them fail to repay and seize their properties! Last week I wrote about the ways through which banks cheat Ugandans. I showed how banks capitalise on financial illiteracy and gullibility of Ugandans, and working in an environment that facilitate them to fleece people. I showed how lending rates that banks charge Ugandans were excessive yet they accessed credit cheaply. I also showed how banks were still deliberately hiding information from borrowers to cheat them, and all these are happening when the would be regulator of these banks, the Bank of Uganda, was behaving as if it was an agent of commercial banks — responding only when working on challenges that banks face. This habit of banks making money irresponsibly is not unique to Uganda. Like I wrote here last week, an investment — and then a later reversal of the flow of funds-the loan repayment (plus interest) or a stream of dividends. The unavoidable information orientation of finance creates potential problems and vulnerabilities. Depositors stand in the position of lenders to banks. But depositors generally are not informational specialists; they are therefore vulnerable to the asymmetric information problems of banks that are borrowing from them. Uganda is a perfect laboratory to test this. Lawyers will tell you that under a legal system of limited liability for owners, banks cannot be held liable for any losses beyond the elimination of their equity. Thus, the only other absorbers of the insufficient value of bank assets are the depositors. The limited liability arrangement thus creates moral hazard behavior incentives for bank owners (or bank managers on the owners’ behalf) to engage in excessively risky lending. The bank owners will capture the benefits from the ‘upside’ outcomes of risky ventures; but their losses from the ‘downside’ outcomes are limited to their equity stake. In Uganda this is effected by offering depositors (savers) negligible interest rates as low as 3% a year! And no one, including well trained economists at Bank of Uganda, seems concerned! This is scary to say the least. 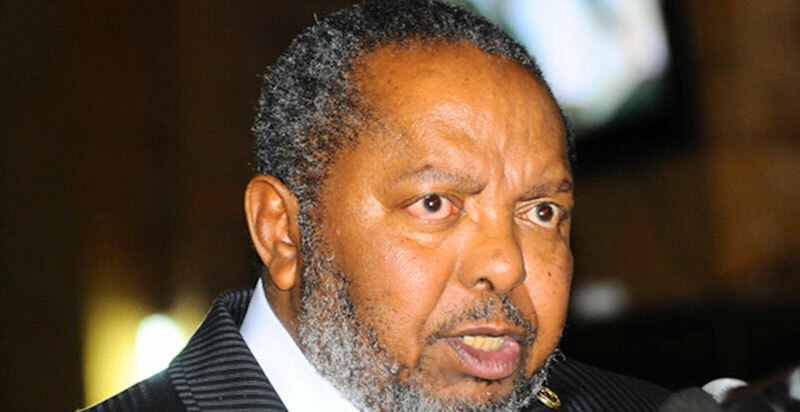 I become so frightened whenever I hear Governor Emmanuel Tumusime-Mutebile saying, “This is a liberal economy, Bank of Uganda cannot do anything” to banks that do business detrimental to Uganda’s progress. True, the wave of 1990s Washington Consensus policies of liberalization and deregulation took with it the weapon of economic regulation of banks (involving putting limits on interest rates that can be charged on loans or paid on deposits; limits on bank fees; limits on entry by domestic or foreign banks; requirements that financial institutions provide services to specific industry sectors and/or specific geographic areas etc). Banks elsewhere central banks are devising second-best regulatory regimes “to do something” to errant institutions. How can BOU claim to be Uganda’s financial market regulator when it cannot even play a traditional role of information regulation — a form of regulation involves the requirements that specific types of information, often in a standardized format, must be provided with the product or service? Banks in Uganda have refused to provide borrowers full information when they apply for loans to help them make informed decisions. Almost all the financial institutions are hiding critical information from their clients. Perhaps the only area of regulation that BOU has implemented to the dot is prudential regulation (or ‘safety and soundness’ consideration), aimed primarily at preventing the insolvency of banks and other depositories. For starters, the instruments of prudential regulation are primarily minimum capital requirements (so as to provide a financial buffer against potential insolvency), limitations on financial institutions’ activities (so as to limit the riskiness of their activities), and the monitoring of the honesty and competency of their managements and operations (so as to avoid the insolvencies that might follow from dishonest or incompetent management). On this, kudos to BOU but it can do better. Mr President, frankly matters of central banking seem to be beyond your control. The same Washington Consensus that took economic regulation also granted central banks reasonable independence that the Mutebiles use to safeguard their “empires” from political intervention. Of course I know you cannot do much to call BOU to order. The 1995 Constitution, under Article 162 (2), granted BOU independence in performing its functions. But there is a way out of this quandary. That way lies in development banking. Uganda must seriously consider refocusing on development banking. 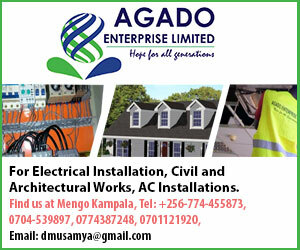 We need to revitalize the Uganda Development Bank to provide long-term capital both for projects entailing risks rated too high by these profit-only foreign commercial banks and for private sector investment. There is no doubt that vast sums are needed for investment in sustainable growth. These foreign, only-for-profit commercial banks will never provide Ugandans “patient capital” to meet the now high demand for investment funds. These foreign banks are agents of “hot money” which is driving up stock and real estate prices and the exchange rates, and so do more harm than good. Other serious countries such as Brazil and South Africa realized this long ago and they set up and adequately capitalized local development banks to finance their development agendas. Almost all fast developing economies around the world are increasingly financing their long-term investments with the help of their national development banks. Brazil’s BNDES (National Bank for the Economic and Social Development) and South Africa’s DBSA (Development Bank for Southern Africa) are among the world’s best development banks. The BNDES is worth US$ 335 billion in assets! Although development banking had lost the confidence of economists because most them were long-term recipients of subsidies, managed politically, and had failed to perform their task of financing sustainable investments, many liberal economists who recommended the development of private financial sector (private commercial banks) have since changed their mind. They have since realized that you can simply not develop a country using money from banks whose main preoccupation is to lend to property owners at very stringent terms, make them fail to repay and seize their property. A recent study revealed that over 64% of upscale properties in developing countries have been sequestered by banks! Mr President, your government has written a myriad of good documents — visions, plans, policy papers, and budgets. They rarely work. A number of factors account for this. However, key among them is the failure of Uganda’s financial system to efficiently serve the purpose a finance system is created to serve — mobilizing and transferring the savings of the economy into its investments. A combination of pragmatic regulation of commercial banks and establishment of developing banking is what is required to launch Uganda on its economic transformation path. How to go about it? Best-practices are all over the emerging economics.